I know it has been quite awhile since I last did any posts; it was been quite a busy year so far for myself, but anyways, here I am, to write a bit about the property market for the rest of 2016, and heading into 2017. As what most property experts have said, the property market in Malaysia experienced a major downtrend and slowdown for most of 2015, and the first half of 2016 remained sluggish. We are entering into August 2016 already - and yes I do agree that the property market have been very bad, and would be expected to remain like this for awhile, until it bottoms out sometime next year. Perhaps let us start with the global factors. 2. If the UK can affect the world economy so much, are we forgetting the USA? Obama is on his way out. And a vote for either Hillary Clinton or Donald Trump would see a change in administrations, legislations, policies and so much more... and what would the global markets do? They would have a 'wait and see' approach - and hence.... similar chain reactions such as the BREXIT. 3. With two giants able to affect us, how about the giants of Asia? Yes... China's economy have already slowed down, and statisticians forecast of a continued slowdown. Our trades with UK, USA and China are all pretty high - and with these three giants going uncertain - the economy of Malaysia would be affected. MEANS LIKE HOW? PROPERTY BUBBLE OR OVERSUPPLY? Anyways, while there are some downs, there are definitely some UPs. I personally think that there is a mismatch in the supply-demand charts for properties in Malaysia. The properties in prime locations are in high demand - but the pricing has to be the middle and middle-to-high range - means from RM 400,000 to about RM 800,000 units. Big developers have started to come up with smaller units and more affordable units - but there is still an undersupply in this segment. The office spaces in Klang Valley have increased a bit - and was facing an oversupply situation until DBKL came in with various tiedowns to slow them down - and now, we can see the office market situation stabilizing. There is still a strong demand for high quality offices - the Grade A and A+ offices remains in high demand from investors and international corporations - hence, I believe we will see much better quality office towers coming around in town. The KLCC area is almost fully built up already - and TRX is slowly being pushed into the market, together with PNB's KL118 and the redevelopment of commercial spaces around Jalan Sultan Ismail and Jalan Ampang is all underway. In the past, all these developments and redevelopments would be seen as worsening the office space situation in Kuala Lumpur - but in recent times, it is viewed as a strong positive sign! With our LRT extension projects completed, and the soon-to-be-opened MRT line in place, and another MRT line just announced, as well as all the various highways and expressways being upgraded and introduced, I would expect Kuala Lumpur to see a lot of new commercial growth and focus. With the infrastructure and public transport all improved, Kuala Lumpur is indeed becoming the city to be in, and the city to work in, live in and play in. Our Central Bank - Bank Negara recently revised the OPR - but is that good enough? A reduction in interest rates are pretty good - but I think we need to improve the liquidity of the lending. Things such as LTV-caps and valuations of properties could be improved to assist the lending liquidity. The amount of loan rejections in the past 2 years have increased tremendously - and is expected to increase somemore. WHAT'S NEXT? HOW ABOUT THE #BUDGET2017 ? With the general elections story constantly on the minds, I believe that this year's Budget 2017 announcement will be a very people-friendly budget - a very rakyat-centric budget, with some goodies here and there. What do I wish for for the property industry? Well... firstly, ideally I would hope that the OPR rates would reduce further. With lower OPR rates, it should be able to improve the sector's lending. I think there will be a lot of new PR1MA housing announcements, together with a few new mega developments. Slowdown or not - to me, I believe is us Malaysians. With our Malaysia Boleh culture and spirit, we tend to adapt to any situation very quickly - and hence, all these are still very manageable. 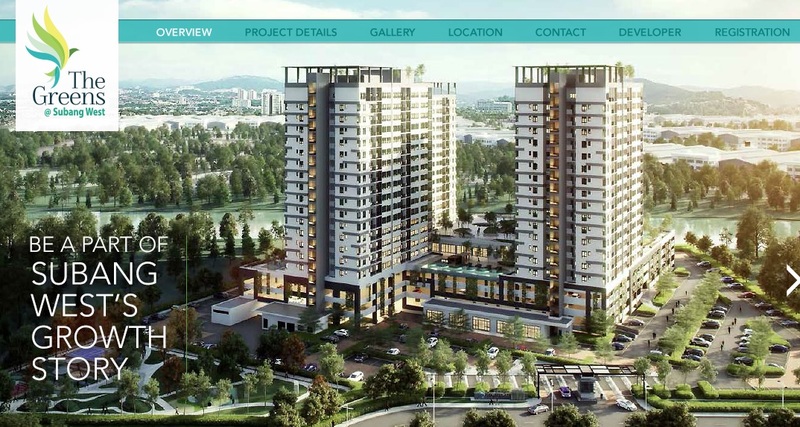 Anyways, how about checking out my latest property offering in Subang West / Shah Alam? Log on to the website and find out more! Quote my name and blog when you are visiting - and who knows, you might even get a pleasant surprise package too!!! I believe that the platforms like roomz.asia are the future for low to middle income population and and easy and digitalized room rental option is the future. Property investments are going to be stagnant and the prices can only rise from now on.